The Reserve Bank of India’s monetary policy decisions often go astray because of erroneous data provided by the government, former governor Duvvuri Subbarao writes in his book to be released on Friday. Stating that the central bank operates within the universe of knowledge available in real time, Subbarao wrote RBI 'is oftentimes wrong-footed because of the questionable quality of data'. As an example, India’s data on employment and wages, crucial for judging the health and dynamism of the economy 'do not inspire confidence'. “Data on Index of Industrial Production, which gives an indication of the momentum of the industrial sector, are so volatile that no meaningful or reliable inferences can be drawn,” Subbarao writes in his book Who Moved My Interest Rate. “Data on services sector activity, which has a share as high as 60 per cent in the GDP (gross domestic product), are scanty,” he added. What makes the problem even more contentious is the frequent revision of the data released earlier, which made Subbarao’s predecessor Y V Reddy quip that in India, not only the future, but the past was also uncertain. “The poor quality of data is compounded by frequent and significant revisions, especially in data relating to output and inflation, which are at the heart of monetary policy,” Subbarao writes. In fact, bad data could be one of the reasons for a delayed response to inflation, one critical misstep that cost the country. 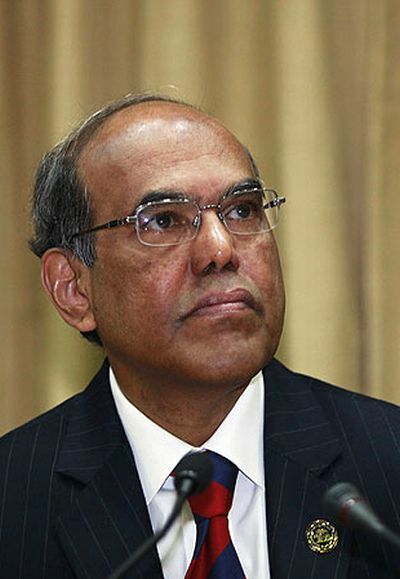 Subbarao, who had joked that he may be remembered as 'baby step Subbarao' for his gentle and frequent nudging of policy rates (he raised rates 13 times and cut 10 times -- a record), was guided by slow recovery of the economy in 2009-10, as revealed by data. “In the event, subsequent revisions to output data showed that growth in 2009-10 was in fact more than a full percentage point higher than the original number. Flawed data also showed that gross domestic product growth moderated steeply from 8.9 per cent in 2010-11 to 6.9 per cent in 2011-12 even as inflation remained elevated, suggesting a stagflation. However, subsequent data revisions revealed that growth had not slowed that sharply. Luckily, RBI did not react to the event. “If, in fact, the Reserve Bank had fallen victim to the groupthink, acquiesced in the stagflation theory and responded accordingly, the macroeconomic implications of the policy error would have been very costly,” Subbarao wrote.